Vaseem Khan first saw an elephant lumbering down the middle of the road in 1997 when he arrived in India to work as a consultant. It was the most unusual thing he'd ever encountered and served as the inspiration for The Unexpected Inheritance of Inspector Chopra. Mumbai – once Bombay – is, for many people, the greatest city on the subcontinent. It is known as the ‘city of dreams’ – people are drawn here from all over the country, arriving daily by the train and truckload, seeking fortune . . . and fame – in the world’s most prolific movie industry: Bollywood. For decades a microcosm unto itself, in recent years Bollywood has begun to flex its all-singing all-dancing muscles overseas: three billion tickets are sold to Bollywood movies each year, half a billion more than Hollywood. Production values are rising, and foreign distributors are increasingly willing to pin their hopes on colourful Indian potboilers as marketable fare for a variety of audiences, not just the Indian diaspora. The idea for this novel came to me during the decade I spent working in India in my twenties. 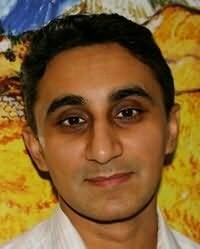 I was based in Mumbai, and quickly learned how Bollywood permeates the very fabric of life there. From the ubiquitous slums to the glittering towers of India’s uber-rich the movie industry is a topic of endless conversation and controversy in this multifaceted mega-city. Like Hollywood, Bollywood is by turns a vehicle for escapism, and, increasingly, a hard-edged mirror reflecting the social realities of the day. Bollywood movies are often called ‘masala’ movies, which means that they are composed, like India herself, of many different, often contradictory, parts – lurid action, coquettish romance, weeping melodrama, boisterous music, and, of course, those dervish-like dance numbers that are the signature of the subcontinent’s celluloid tradition. During my time in Mumbai it was, perhaps, inevitable – as a lifelong writer with a writer’s nose for stories – that I would seek to peer behind the scenes of the Indian movie machine . . . and this was when I first learned about the relationship between Bollywood and crime. One day a famed film producer was gunned down in the street just yards from where I worked in the bustling suburbs of Mumbai. The producer survived but the incident left me intrigued. What had precipitated such an act in an industry I had hitherto regarded as exotically benign? I began to research, and what I discovered cast a shadowy illumination into the darker corners of the Bollywood I had thought I knew. The Indian film industry, it appeared, had long been plagued by connections to the underworld. Because of the Indian government’s refusal to allow film producers to access regular channels of funding, the door had been left open for criminal gangs to finance movies, as a means of laundering money. And once they became entrenched these ‘Bollywood dons’ began to snake their tentacles into all corners of the industry. Lurid cases of threats against producers, directors, and actors who refused to toe the line became commonplace. 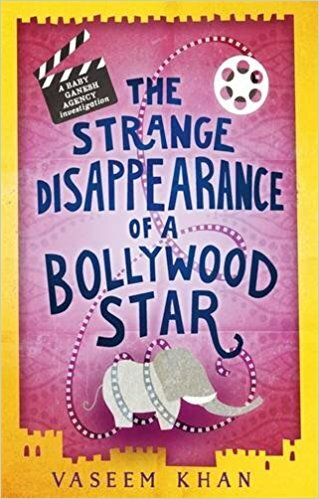 These revelations now underpin my latest book, in which I take the opportunity to explore the magic and absurdity of Bollywood, as Chopra moves through the smoke-and-mirrors murk of India’s premier movie industry in search of the kidnapped young actor. Chopra has three mysteries to solve: how did the criminals manage to abduct the notorious star from in front of a live audience; why they kidnapped him; and who was behind the kidnapping. My aim with these books was always to take readers on a journey to the heart of modern India. (The first book in the series The Unexpected Inheritance of Inspector Chopra, was a Times bestseller, an Amazon Best Debut, and a Waterstones paperback of the year.) Bollywood is so integral to the identity of the subcontinent, that it was, perhaps, inevitable that I would find myself employing the silver screen as a canvas at some point in the series. Today, as India marches gloriously towards global superpowerdom, Bollywood has begun to shed the shackles of its dark past. With the legitimizing of funding for the movie industry the floodgates have opened, and Bollywood producers have responded by expanding their ambitions. Bollywood is on a roll – but some things will never change. As Chopra discovers, behind the glitz and glamour there are still dark corners in the subcontinent’s beating movie heart.